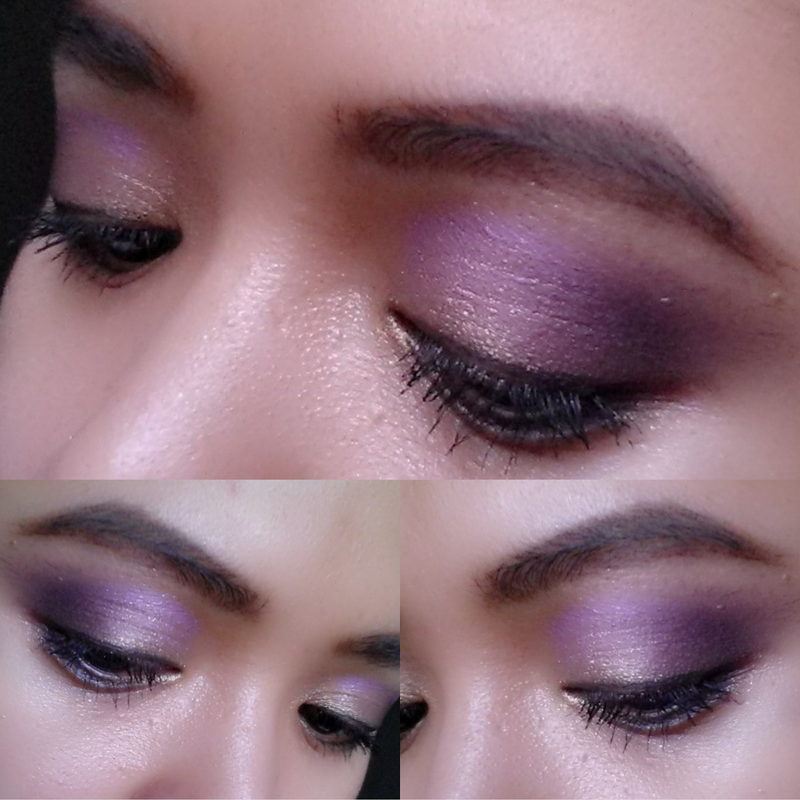 Last week, I've made a review of Avon's Simply Pretty Holiday Makeup Palette in Dazzling Orchid. I love this makeup palette. Today, I'll be sharing an eye makeup tutorial using the said palette. Below is the finish look. I personally love the color combination on my eyes. I find it elegant, perfect for parties or the evening look. 1. Apply the gold cream eyeshadow from the Holiday Makeup Palette on your entire eyelids. Don't forget to apply it on the inner corners of your eyes too. 2. Apply the orchid cream eyeshadow from the Holiday Makeup Palette on your crease and on the outer corners of your eyes. Apply it in a '<' and '>' manner on the outer corner of your eyes. #Note: Step 1 and step 2 acts as our eye makeup base. 3. Apply gold powder eyeshadow on top of the gold cream eyeshadow. This is to enhance the color of the gold eyeshadow shade and make it last longer since cream eyeshadows tend to crease easily. 4. Apply an eyeshadow shade similar or close to the orchid cream eyeshadow shade. Apply it on top of the cream eyeshadow to enhance the color and make it last longer as well. I've used a light shade of lavender on top of the orchid cream eyeshadow. 5. 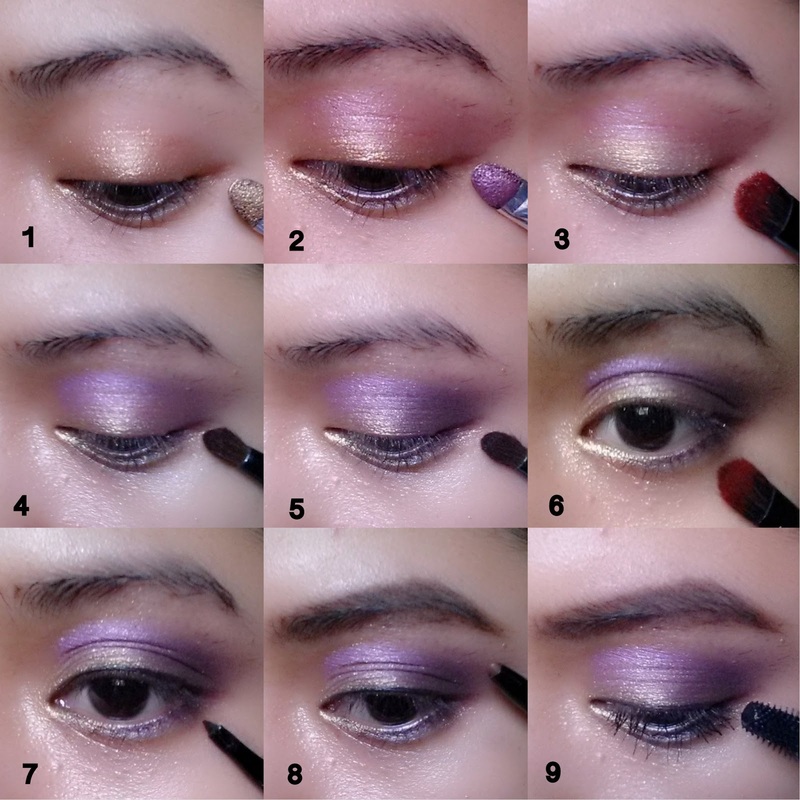 Apply an eyeshadow shade 2 or 3 times darker from the lavender shade applied on step 4. Apply it just on the outer corners of the eyes. Make sure that the shade is not too dark else it'll spoil the overall look. Don't forget to blend the application. Blending is the secret recipe behind every well done eye makeup look. 8. Fill in your eyebrows. Continue with makeup on the rest of your face. And you're ready to go! Remember, practice makes perfect. Never used Avon eyeshadows before but this is a gorgeous look. I may have to look into the Avon catalogues now! Me puedes seguir en GFC?